Description: 123 OutLook Express Backup is an easy-to-use synchronization and backup tool for the popular Outlook Express mail client.The program saves e-mail messages, address book, message rules, blocked senders, accounts and signatures into a single backup file and restores the saved data back to Outlook Express. 123 OutLook Express Backup has a simplified user interface, very useful for beginners. 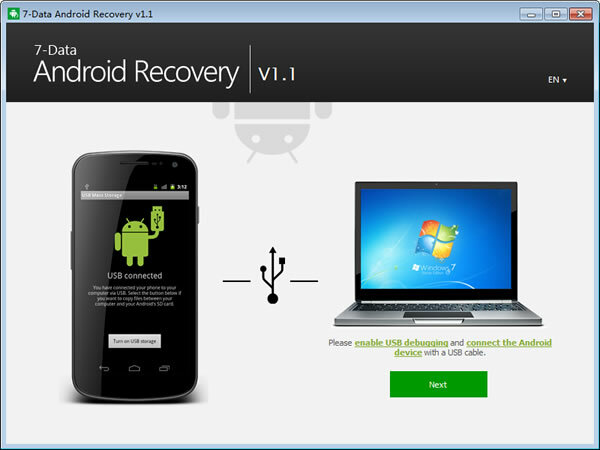 Description: Android recovery software designed for Android mobile phone and tablet, pad and SD card in Android devices, 7-Data Android Recovery effectively recovers photos, pictures, video, audio, documents, emails and other files from various Android devices. Most importantly, 7-Data Android Recovery allows you to perform a do-it-yourself Android recovery without risking giving your privacy away. Description: SD memory card recovery software for digital camera or mobile phone, it effectively recovers lost, deleted, corrupted or formatted photos, video, files from various memory card types including SD Card, MicroSD, SDHC, CF Card, USB and local drives. Recovers lost, deleted, corrupted or formatted photos, videos and files; Recover photos, videos, audio files, documents, emails and more; Recover from SD/memory card, USB/local drive and mobile phone. Description: Disk partition recovery software to recover data from lost, deleted, damaged, formatted or corrupted partition on Windows 7/8/Vista/XP and Server 2008/2003. Partition recovery software recover data when hard drive crashed, MBR corrupted, disk repartitioned (fdisk) or partition overwritten etc. It restores the recovered files in exactly the same original structure. 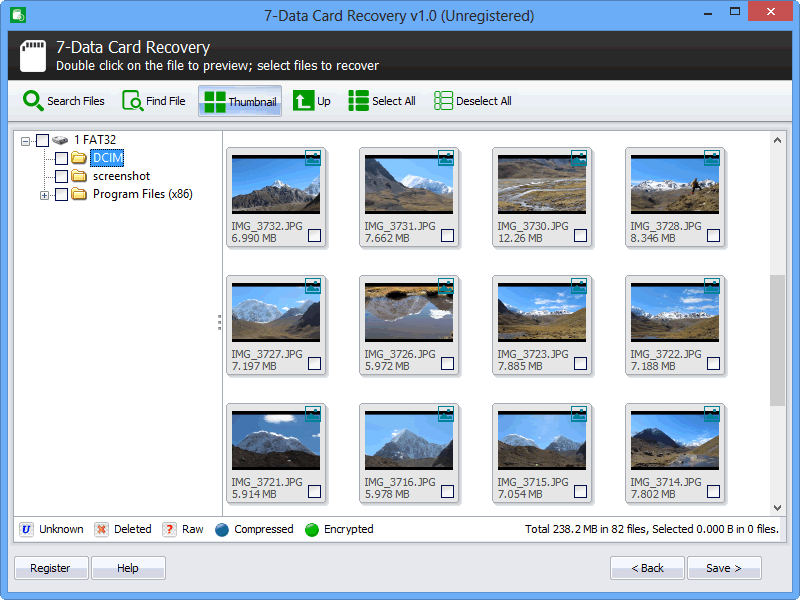 7-Data partition recovery is easy-to-use with step-by-step wizard process design. 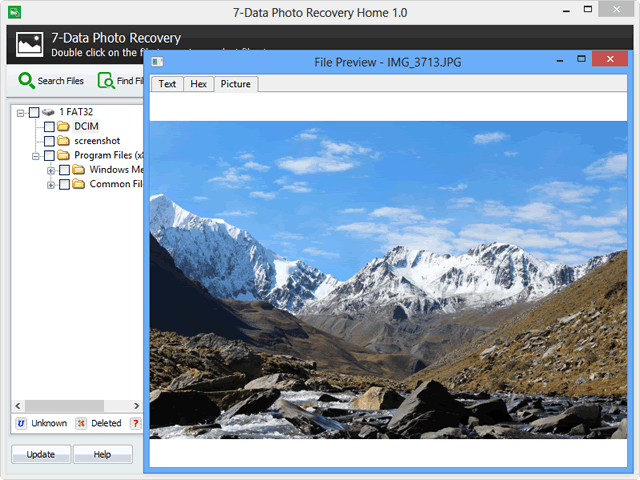 Description: Digital photo recovery and image recovery software to effectively recover lost, deleted, corrupted or formatted photos, images, videos and audio from for local drives and removable devices, SD/memory card, USB/local drive, camera, and mobile phone. Recovers lost, deleted, corrupted or formatted photos and video; Recover photos, images, videos, audio files in various formats; Recover from memory card, USB/local drive, camera and mobile phone.